INDUSTRY.co.id - Jakarta - After the success of Genpro X, Lazada and Genpro again collaborate for the latest smartphone series that is GENPRO Z. This brand-new smartphone is specially designed with 4 GB RAM speed which is predicted to get the fastest predecessor sold out or Flashsale fastest in Lazada. Head of Marcom Genpro, Suryadi Willim optimistic, the latest smartphone will be more successful. The reason, Genpro Z has more gahar specification with a very affordable price. "We believe with the specifications and features owned and support Lazada, Genpro Z can be more successful in the market," said Suyadi in Jakarta, Friday (29/09/2017). Genpro Z supported dual camera with 13 MP resolution, both front and rear. With dual cameras, Genpro Z can produce images with better depth-of-field, faster focus, allow for refocus on captured photos, add creative effects, and produce images with more detail and sharpness nice. 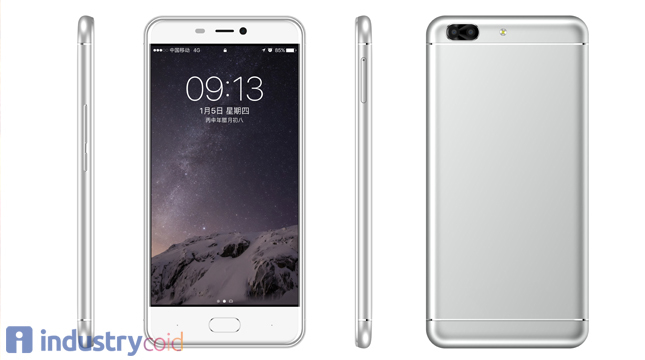 In addition to dual-lens camera, Genpro Z is also highly capable, 1.5 Ghz processor, 4 GB RAM, ROM, 32. To run multiple applications simultaneously and play games, its performance is guaranteed to be unlikely. If you look at the specifications you have, Genpro Z entered in segmentasismartphone with the price Rp.2.200.000. However, Genpro Z is reportedly only priced at only Rp. 1,799,000 special at Lazada. This smartphone is reportedly to be released at the upcoming Pertengmendatang.ber 2017.